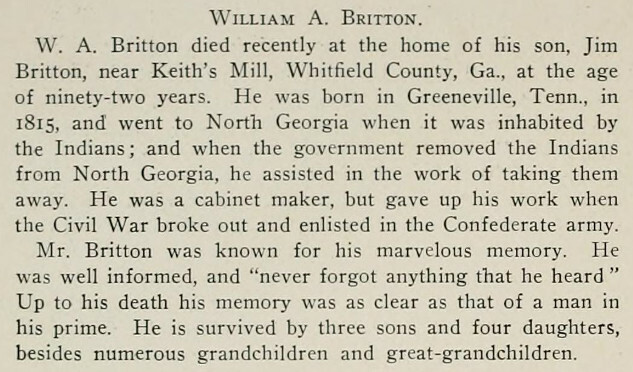 Obituary of William A. Britton, Keith's Mill, Whitfield County, Georgia. SOURCE: Confederate Veteran Magazine, April, 1907. 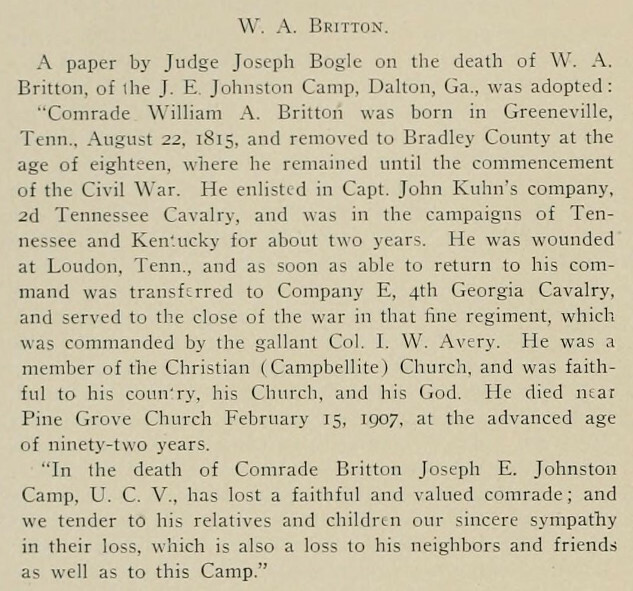 SOURCE: Confederate Veteran Magazine, June, 1907.